Depending on your business type, you might have the opportunity to take your trade mark overseas. This could come quite quickly in your business, or might be a step that you consciously take after trading in the UK for a few years first. What does trading overseas mean? When I say take your trade mark overseas, I don’t specifically mean that you need to set up a physical office or shop to be active. How about if your products are stocked by someone in another country. Maybe you sell online and find that you have an increasing number of sales in a particular country, or group of them. Perhaps you manufacture your products and use a factory overseas to do that. Do you visit and exhibit your products at international trade shows. All of those situations (and countless others) result in your business having an interest outside of the UK. Brexit has meant that there are some unanswered questions about what will happen to any trade mark rights you have at a European level (see my blog post here). However, several companies don’t have any rights beyond the UK. This means that you could be vulnerable to all kinds of issues when you take the trade mark overseas. So what should you think about doing to protect your trade mark overseas? Check that the trade mark is available. You should look at whether there are possible conflicts with existing companies. And do this in each country of interest. Someone else might have earlier rights than you. Just because you are an expanding business, doesn’t mean you have automatic rights to use your trade mark overseas. If you are manufacturing in another country, you should have trade mark protection there. The most common trade mark issue with overseas manufacture is that products are copied in that country, and the company has no rights there. Protect the trade mark in each country you trade in. You might have a minimum trade rule for each country. So if you sell over a certain value in a particular country, then it makes the “hit list”. You should review this each year and every time a new business milestone occurs, such as securing a new stockist. If you’re attending trade shows overseas be aware of how far and wide your brand is travelling. 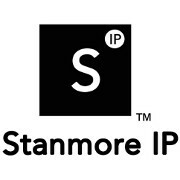 Stockists, manufacturers, distributors (and those who would like to be your stockists, manufacturers and distributors) might decide to protect your trade mark “for you”. This can be a nightmare for investors as well as taking action in case of trade mark enforcement issues. Best to get in there first and be the clear owner of your trade mark. If you would like more information or would like to discuss how I can help you protect your trade mark everywhere that matters to you, please get in touch. This entry was posted in Help & Advice and tagged brand, business advice, EU Referendum, overseas trade, Trade mark on 27th February 2017 by Stanners.